Replacing worn and mouldy Bath Screen Seals is easy with Byretech's ClipSeal and ScreenSeal range of quality easy-fit replacement shower screen seals. 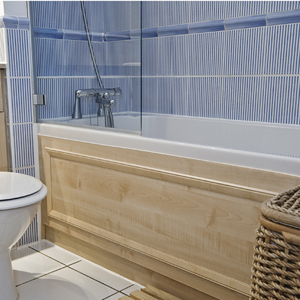 For people who love their bathroom, there is nothing more irritating than the seal on the Bath Screen becoming either worn out, leaky or mouldy. Trying to get a replacement bath seal from a DIY store or even from the manufacturer of the Bath Screen proves to be a fruitless exercise, as no one has what you need for your perfectly good Over Bath Screen which isn't very old. Have no fear ! The Byretech Seal Team are here ! Byretech make a range of push on and stick on Bath Screen Seals that can be cut to length and work a treat ! All you have to do is measure your glass thickness and work out what the gap between your screen and the lip of the bath is.